Finally, a book that speaks to both the medical community and people inflicted by both Infectious Mononucelosis (Mono) and chronic conditions caused by Epstein-Barr Virus (EBV)! The expanse of this pivotal best-selling book is far reaching – many people may not yet know they have been infected with EBV (commonly known as the “kissing disease”), but yet they struggle every day with chronic symptoms such as severe brain fog, debilitating fatigue, headaches, fever, chills, sore throat, body aches, and abdominal discomfort and can’t seem to find a successful treatment solution. BUY THE BEST-SELLING BOOK HERE! Own the Book? Get My Thank You Gifts! Eventually, some go on to develop autoimmune disorders like Lupus, Multiple Sclerosis, or Hashimoto’s Thyroiditis (to name a few) or even cancer and are told that their immune system is simply confused and is now attacking itself, left with no solutions or hope for recovery. Alarmingly, chronic EBV infection is almost completely ignored in today’s medical community, and as a result of never being tested, misinterpreting the test results, not being diagnosed, or being misdiagnosed by their doctors, millions of people suffer debilitating conditions for many years with no answers. This suffering can be avoided. With this best-selling book, The Epstein Barr Virus Solution, answers can be found. Author Dr. Kasia Kines is considered by her colleagues to be “one of the most brilliant, and importantly, clinically experienced functional nutritionists in the world.” In The Epstein Barr Virus Solution, Dr. Kines provides a groundbreaking examination of EBV and not only how it causes chronic fatigue, autoimmune disorders, and even cancer but also how recovery is possible. The Epstein Barr Virus Solution was written in hopes that it will globally change the way EBV is understood, diagnosed, and treated. 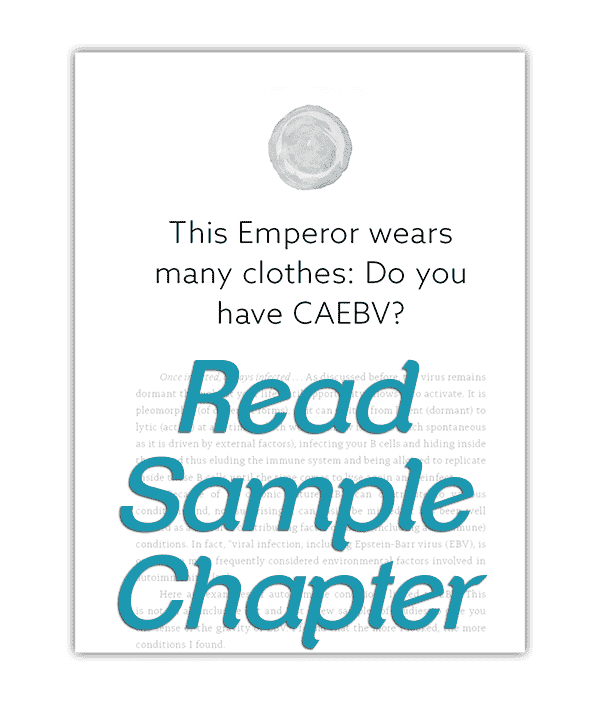 The deep journey into the existing research sheds light on the EBV virus for both the seasoned medical community and the layperson. Along with the validated research, The Epstein Barr Virus Solution presents practical, time-tested, and evidence-based clinical solutions for the testing and medical nutrition treatment of EBV. The Epstein Barr Virus Solution helps those suffering to identify whether they should seek testing for EBV. Through Dr. Kines’ compassionate guidance, readers will feel confident to discuss their concerns with their doctors, to ask for testing, and to take their lives back from EBV. The Epstein Barr Virus Solution urges medical providers to hear their clients’ concerns and provides the medical community with the research and insights needed to avoid misdiagnosis and common problems with testing for EBV. 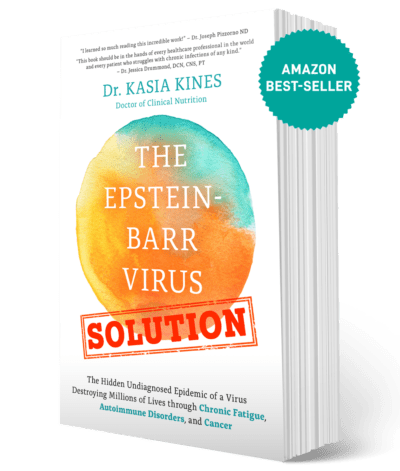 The Epstein Barr Virus Solution was made possible because of Dr. Kines’ long-standing expertise as a functional clinical nutritionist who has dedicated her practice to working with clients inflicted by EBV. Dr. Kines tells readers in easy-to-understand language that recovery and hope for better health are possible through targeted nutrition and lifestyle changes. 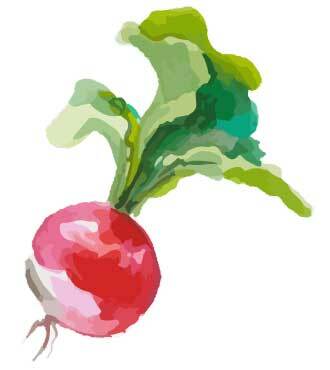 Readers are given a toolkit full of practical advice and guidance, including exclusive materials from Dr. Kines’ life-changing 30-Day Detox Program that she has taught successfully for over 10 years. The research is out there, and Dr. Kasia Kines has found it, synthesized it, and utilized it to implement successful treatment protocols in her own clinic. Clients who had suffered years with chronic EBV infection symptoms are now recovering and living their lives. The Epstein Barr Virus Solution will provide those infected with EBV everything they need to finally take control of their health and take their life and happiness back.